GOKPOP | Exclusive K-News in Malaysia & Singapore: An "Above Ordinary" Korean Hip Hop Concert is Coming to Malaysia This November! An "Above Ordinary" Korean Hip Hop Concert is Coming to Malaysia This November! 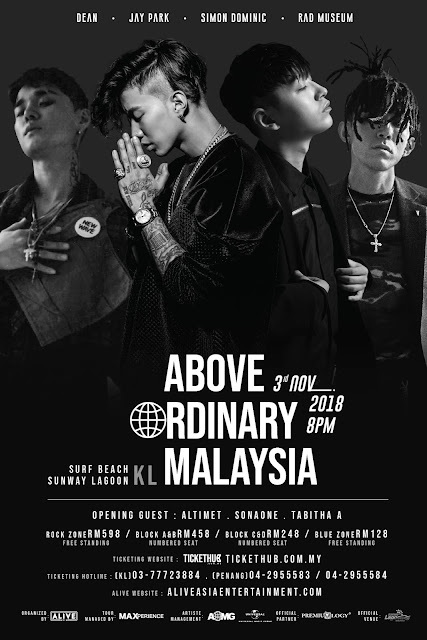 Get ready for an "Above Ordinary" concert featuring K-Hip Hop male singer-songwriters - Dean, Jay Park, Simon Dominic and Rad Museum. 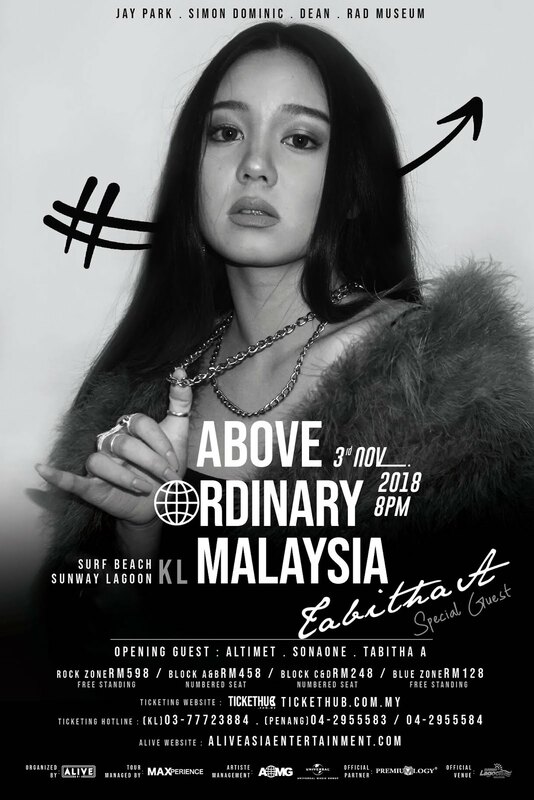 Organised by Alive Asia, the long-awaited K-Hip Hop concert <Above Ordinary Malaysia> will be held on 3 November 2018 at Surf Beach, Sunway Lagoon. Organiser, Alive Asia Entertainment will be having a lucky draw soon so stay tuned for more information! Check out Alive Asia Entertainment on Facebook or its official website.